By Peter Phalen, a doctoral student in psychology at the University of Indianapolis. Phalen writes about his recent tour of mental health facilities and practitioners in several countries across West Africa. MORIADY, GUINEA – Dr. Siaka Sangare’s psychiatric clinic is located in an idyllic suburb of central Guinea, West Africa. Palm trees tower over the well-maintained buildings. Violet long-tailed starlings flit through the trees. There are no locks on the doors. The scene more closely resembles a tropical resort than a psych ward, and you’re only charged about $1.25 per month. So why doesn’t anybody want to come here? And they’ve spent a lot of money. Traditional healers typically charge at least $150 per session and often demand animal sacrifices of goats or sheep, which needs to be supplied by the client. One Sierra Leone family I spoke with had spent nearly $12,000 on traditional remedies for their daughter’s schizophrenia before deciding to seek out a psychiatrist. For better or worse, there may be some logic to the local skepticism of western style mental healthcare. According to a multinational 2011 study, outcomes for severe mental disorders may already be better in developing countries than in Western Europe. The improved outcomes found in developing nations might be due to cultural factors, like stronger family bonds. Anneiru Braimah, chief psychiatric nurse at the Sierra Leone Psychiatric Hospital, has noticed that patients from the industrialized Freetown center typically have weaker (or no) family support compared to those from more traditional rural areas. Without family to help a patient get back on their feet, says Braimah, the hospital inevitably has to make a choice between lengthening the patient’s institutionalization or releasing them into homelessness. Tighter family ties can have a powerful therapeutic impact. Dr. Sangare’s clinic requires at least one family member to remain with the patient at all times during their stay in the hospital. This requirement would be totally unworkable in the United States, but out here, it’s unremarkable. In about 10 years of practice, Sangare has never had to enforce the rule. If one family member is unavailable, an uncle or cousin inevitably steps in. In the process, the family gains a better understanding of the patient’s condition and the patient ends up less alienated. As the cost of mental illness becomes better understood, international aid dollars are finally beginning to trickle into the field of global mental health. 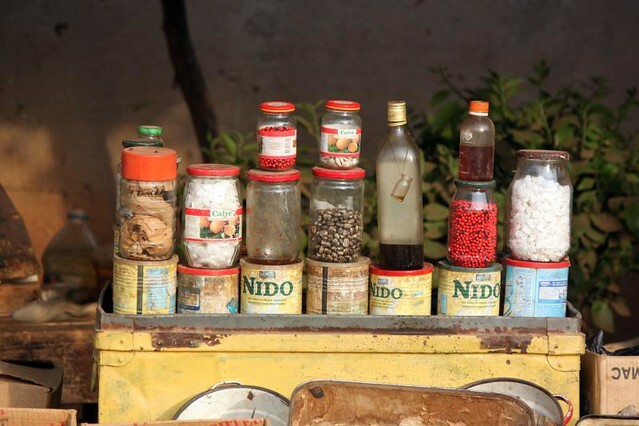 But with traditional healers so entrenched in local culture, psychiatrists have usually opted to complement rather than attempt to displace them. Staff at Dakar’s state hospital have been known to attend their patients’ Ndeup healing dances. They attest to the psychological importance of traditional practices. The Sierra Leone Mental Health Coalition even includes healers in its database of mental health resources. This kind of outreach can have a tangible payoff. When Sangare’s clinic found themselves in tension with the region’s healers, they invited them to a now-yearly convention at their site, with room and board included to sweeten the deal. The meeting allowed the clinic to establish a dialogue and educate the traditional healers on psychiatric methods. Most of the healers responded positively, and last year, to the clinic’s surprise, they received a patient referral from a local witchdoctor, with more to follow soon after. The staff returns the favor, sometimes sending patients with certain kinds of anxiety to traditional healers whose techniques may have a more powerful placebo effect. Mental health is one of global health’s top priorities for the coming decade. Our chances for success will have a lot to do with our ability to navigate local practices and cultures. If West Africa is any guide, perhaps we will learn as much as we teach. America could definitely benefit from some African ideas about healing and justice! Great article, I hope there are more to come.